Dr. Mehran Tavakoli (M.T.) 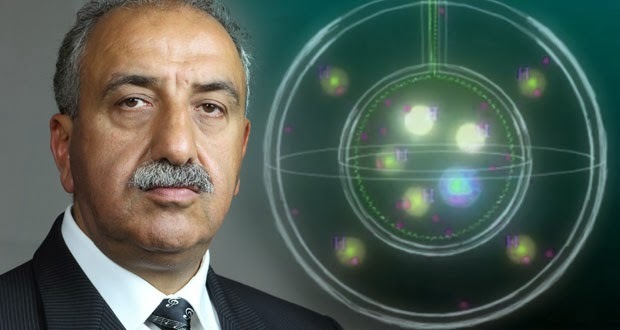 Keshe is a nuclear physicist who claims to have discovered the source of free energy that the late Nikola Tesla was blocked from giving the world nearly a century ago. Keshe, who is allegedly hiding out in Italy after surviving attempts on his life, says he has built and privately tested a plasma generator that has the potential of providing free, safe and non-toxic energy to everyone. But Keshe’s invention, which he has offered to give to anyone that wants to use it without charge, threatens the multi-billion dollar oil, gas, coal and nuclear energy systems now operating. There are powerful corporate interests who want this man silenced and they appear willing to kill him to have their way. Or are they? If you search Keshe’s name on line you will find the Keshe Foundation website which offers a free download of blueprints for building a plasma generator. He is, indeed, offering it to the world free of charge. Searching the web will also give you numerous articles, seemingly written by authentic scientists and writers, proclaiming Keshe and his invention a hoax and a complete scam. They say Keshe’s publicly produced videos, in which he describes his research and the concept of how his plasma generator operates, are technically flawed. They also say that the publicly offered plans for his device do not work. Writer Sterling D. Allan seems to be a supporter. On the website Pure Energy System News, Sterling wrote in 2012 that he met up with Keshe in Belgium, discussed his invention, and was shown a tubular device that looked like a flashlight. In fact, Allan said it had a light at the end of the tube that glowed when it was turned on. Keshe told Allan that the generator drew free natural energy and consequently the light would remain on forever. Yet Sterling noticed that after the demonstration, Keshe turned off the light. Not long after the personal interview, Allan was shocked to read that on Good Friday that same year year, Keshe published a three-page declaration and announced that he is the Messiah. The declaration called for world peace and cooperation and asked everyone to join the neighboring star systems in a universal society. In spite of Keshe’s strange declaration, Allan wrote that while he did not believe this man is the Messiah, he believed that Keshe may have discovered a world-changing source of energy that needs to be explored further. Keshe reportedly holds a doctorate in nuclear energy from Queen Bay College, England. While still in school he said he developed a theory based on the origins of gravity and how gravitational fields are created by an interaction between matter, dark matter and antimatter. He said he envisioned his energy generator in his mind before ever building it. Through independent research, Keshe claims he has proved that his invention works. He says he now perceives the generator being used in everything from energy production to medical applications and even deep space travel. He believes his discovery is about to change the world. But Keshe has found himself under attack by his critics and more recently, by would-be assassins. Gordon Duff, senior editor of the website Veterans Today, offers more insight as to just who Keshe is and what has been happening to him and his generator. He said after graduation from college in England, Keshe worked for a UK power company before he was recruited by the British Ministry of Defense. Later he went off on his own, refusing to accept the British Defense Ministry’s efforts to get him back. While in his native Belgian, Keshe became entangled with Belgian police officers who were Freemasons. The police and a French terror group staged an “anti-Keshe” effort on line. Keshe also had to deal with a false investment group, also linked to the terrorists, Duff wrote. “When Keshe turned out to be uncooperative even after threats, local police in Belgium tried to run Keshe and his wife off the road . . . while firing their service weapons at him like something out of a TV show. Keshe then left for Italy where he remains.”.